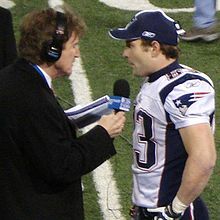 Wesley Carter Welker (born May 1 1981, in Oklahoma City, Oklahoma) is an American football wide receiver for the Denver Broncos of the National Football League. ↑ "Wes Welker agrees with Broncos". ESPN. ESPN Internet Ventures. 2013-03-13. Retrieved 2013-03-13. This page was last changed on 7 November 2013, at 11:23.